The International Conference on Networking and Services, that took place on May 22-27 in Venice, Italy, has selected S.H. 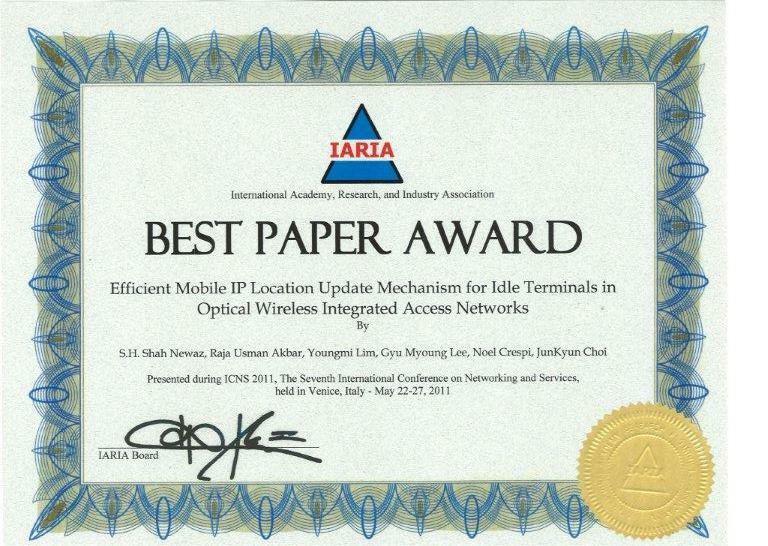 Shah Newaz, R.U Akbar, Y. Lim, and J.Y Choi, G.M Lee, N. Crespi’s paper entitled “Efficient Mobile IP Location Update Mechanism for Idle Terminals in Optical Wireless Integrated Access Networks” for its Best Paper Awards. The conference covers fundamentals on networking and services, and highlights new challenging industrial and research topics. Ubiquitous services, next generation networks, inter-provider quality of service, GRID networks and services. 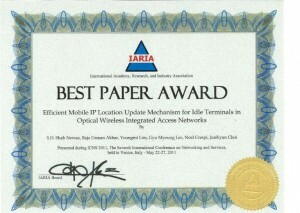 The paper is a collective work between Telecom SudParis and ETRI, Korea.